Full House premiered in the late 80's. (Can I just add that I literally cannot write or even say late 80's without a big ol' smile??) At the time, I was a wee-one living in the Bay Area, where Full House was set. I was too young to understand that not everyone was a stone's throw away from San Francisco. Who knew? What I did know was that I was one of three sisters, just like the three sisters on the show. I was the oldest like DJ, but was the same age as Stephanie (the middle sister), and also had a youngest sister named Michelle just like on the show. Full House continued airing new episodes until 1995, and let me tell you, my sisters and I loved that show something fierce. Even after 1995, you could find reruns playing at out home all the time. It was our jam. So of course, we couldn't even contain our excitement when the spin-off was announced last year. 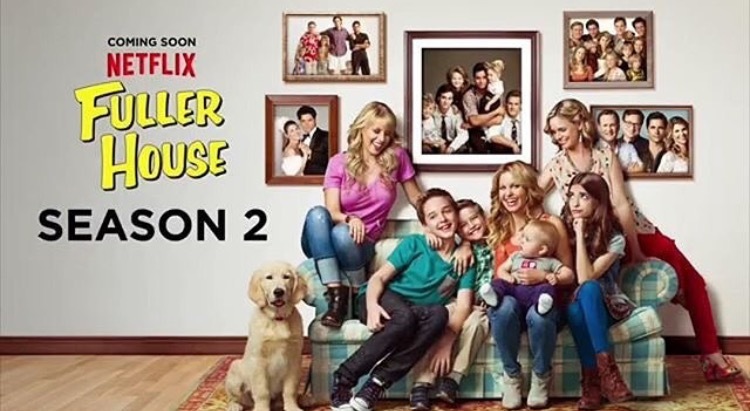 Now, if you weren't a fan of the original show, Fuller House probably isn't going to do much for you. But, if you were a Full House fan, this new show is gold. 1. They are using the original opening! It's the original 1987 opening! 2. OMG I'm so excited. 3. OMG I love the Bay Area! 4. Was there this much laughing and clapping and cheering on the old episodes? 5. Oh, the hugging. I miss all the hugging. 6. Oh my gosh, they called out Mary-Kate and Ashley Olsen for not joining in! 7. I heart Kimmy Gibbler. 8. The jokes and catchphrases are the same! How rude! 9. A new opening! With original footage. This. Is. So. Sweet. 10. Oh my word, Uncle Jesse looks exactly the same. How did they get him to wear the same outfit? 11. Uh, Danny Tanner does not look the same. Tough beans having to go after Uncle Jesse in the intro. 12. "This Dairy Queen is closed." I die. 13. Nicki and Alex the twins are cracking me up. Also, they're making it sound like they go to my old alma mater (UCSB). 14. Steve! Steve is on here! Season Two is coming! On a side note, it's super crazy the way things work now, and how "binge watching" has become a thing. With the discount, the hat is fifteen dollars. Holla! It was the free shipping that did me in. With as many similarities as y'all have with the Tanners, I bet y'all were anxiously awaiting the new show. I loved Full House growing up. I have seen every episode so many times. My parents would even record it on VHS for me if I had something to do that evening. I had sleepovers with TGIF. 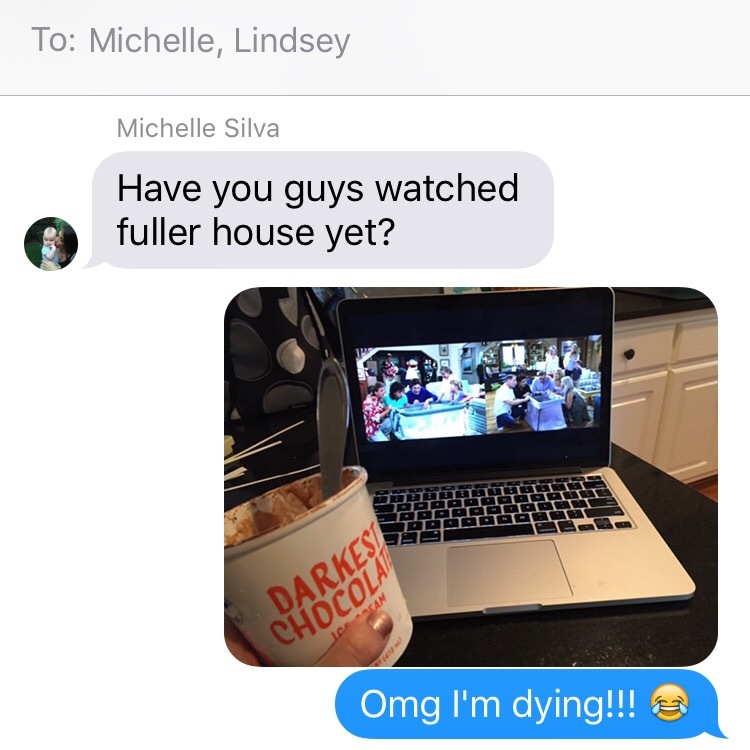 I loved Fuller House and all its cheesiness. I can't wait for the second season. I know I loved watching Full House growing up and binged watched the 13 episodes so fast! I'm so sad that I have to wait so long for season 2. I had almost all of these thoughts word for word! I'm headed to San Fran next week and watching Fuller House made me even more excited to go. PS: I'm waiting for my box from ThredUp to arrive today and keep looking to see if the FedEx guy is here. Yay for packages with new clothes! Love this!! I had a lot of those same thoughts. Question - should we know Danny's wife? She looks familiar, but I don't remember her from the older episodes.